Join us at the iconic Great Saltair for the 41st anniversary of The Original Winter Series, Salt Lake City’s oldest race series! The legendary, affordable series features a set of premier running events ideal for elite athletes and everyday runners alike. Proceeds support the Making Strides program, which provides shoes, uniforms, and an introduction to running, to an underserved youth population at a local Boys and Girls Club. 2017 & 2018 sold out with a record number of participants! *In the event a participant is unable to complete one of the series races due to icy roads or poor air quality we have instituted a “makeup run.” The “makeup run” is an untimed, noncompetitive, fun run to allow runners a safe alternative to earn the 41st Anniversary medal. 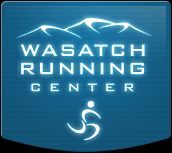 Makeup run will start at Wasatch Running Center in Sandy, and NOT the Great Saltair. Professional DJ music inside the Great Saltair and outside at the start/finish area. *Shirts are ordered based on registrations received by 12/1/2018. Therefore, shirt availability is not guaranteed for registrations after this date and will be on a first come first served basis at packet pickup. which will be applied during checkout. No code needed. Nonmembers will have the option to join before checkout. Aid Stations: (see locations on map) Aid stations are located along the course and will consist of Gatorade and water. Medical Support: Medical staff is available at the start/finish area. 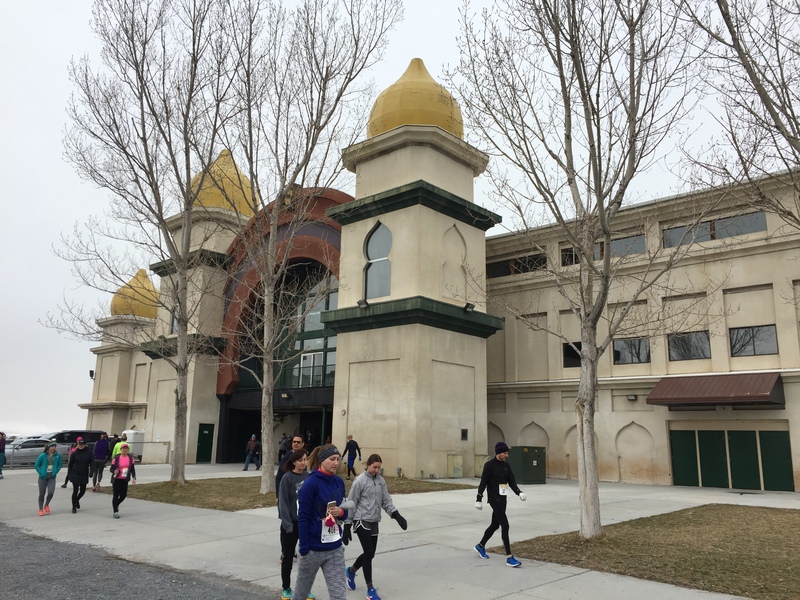 Shelter: The Great Saltair Building will open race day at 8:30 am with full access to electric restroom facilities. Refreshments: Beans & Brew coffee, hot chocolate, hot cider, water, Great Harvest Bread, peanut butter, honey, granola bars, and fresh fruit will be available in the Great Saltair Building after each race. Start and Finish: Races start and finish in front of the Great Saltair Building near the south end of the parking lot. Porta Potties: Porta potties will be stationed along the 15K course. Course description: Each course is an out and back on the frontage road. 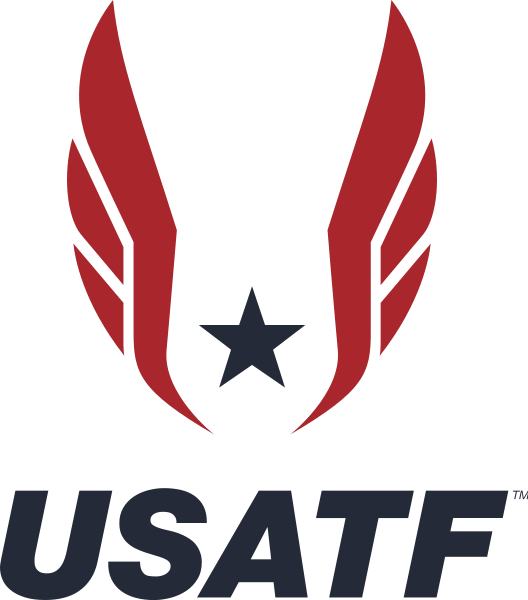 All courses are USATF certified, fast, flat, and record eligible. Course Time Limit: There is not a course time limit. All abilities welcome. Electronic Timing Chip and Results: Professional race timing and instant onsite results provided by I Run Utah. Utah’s #1 race timing company. Clocks and Mile Markers: Digital clocks are positioned at the start line, turnaround point, and finish line of each race. The mile markers are positioned at each mile. Street Closures: The frontage road is closed to all traffic on race day. Free Parking: There is plenty of parking in the lot in front of the Great Saltair. Directions to The Great Saltair: Off I-80 (I-80 west if coming from Salt Lake City area) it is exit 104 Saltair Drive. Ten miles past the Salt Lake International airport. Other transportation options: Consider carpooling. There are not any public transportation options that currently go to The Great Saltair. Taking a cab or using car services such as Lyft or Uber are alternatives. Fittest Team Series Award is awarded to the team that has the most accumulative team points at the end of the series. Teams are a great way to stay motivated and connected with fellow runners. To encourage camaraderie and friendly competition we are introducing a team award! Recruit your friends, family, and coworkers. The larger your team means the more possible points you can earn. More award details coming soon. Medals will be awarded to the top three men/women in the divisions shown below. Open and Masters Winners and RRCA State Champions will be excluded from these awards. All athletes 40 and over (on race day) are eligible to compete in the Masters division. Masters athletes are eligible to collect open prize money in addition to masters prize money should they place high enough overall. Net time will be used for all age-group scoring and awards. Age-divisions will be determined by an athlete’s age on race day for all Winter Series races. Registering under the Athena/Clydesdale category is completely optional. It is the athlete’s choice as to whether or not he or she registers for this division. Athena/Clydesdale athletes, however, are NOT eligible to compete in age group divisions. Female athletes weighing 140+ pounds are eligible to compete in the Athena division. Male athletes weighing 200+ pounds are eligible to compete in the Clydesdale division. Net time (chip time) will be used for all Athena/Clydesdale awards. Raffle Preview: Jaybird Bluetooth Headphones ($129), Topo Athletic Shoes ($130), and many more great items! Race day pickup only for extenuating circumstances and suggested arrival between 8:30-9:00 am to avoid lines. Race day pickup only for extenuating circumstances and suggested arrival between 8:30 am – 9:00 am to avoid lines. Race day pickup only for extenuating circumstances and suggested arrival between 8:00-8:30 am to avoid lines. Can I bring my dog to run with? Sorry, no dogs are allowed on the running course. Yes, strollers are allowed, but we ask that you start in the back of the pack. 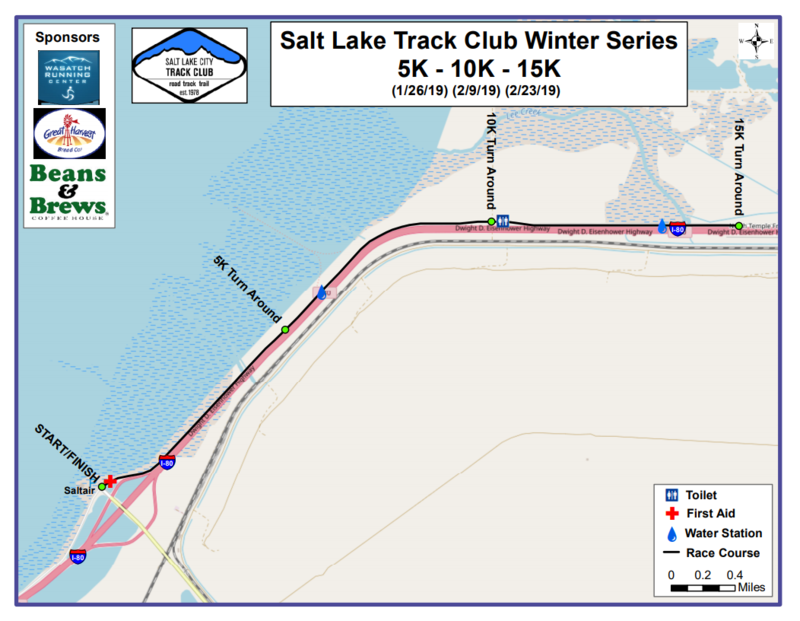 The Salt Lake City Track Club is dedicated to promoting the welfare of the Salt Lake running community. Our mission is threefold: provide social running opportunities to runners of all distances, contribute to the running community through donations and volunteerism, and organize several state-of-the-art road races every winter.